A quick preview of what’s in store for the Purple family on the road in the next year. Black Country Communion will kick off the new year’s proceedings with 2 gigs in the UK: January 2 in Wolverhampton, and January 4 in London. These will be followed by a performance at the Blues Alive at Sea cruise at the end of the month, which has been sold out for months. Glenn Hughes will also do a solo tour in April, going this time to South America and performing Mark III/IV classics. Ian Paice will continue sporadic performances with tribute band Purpendicular from late January through the end of March. 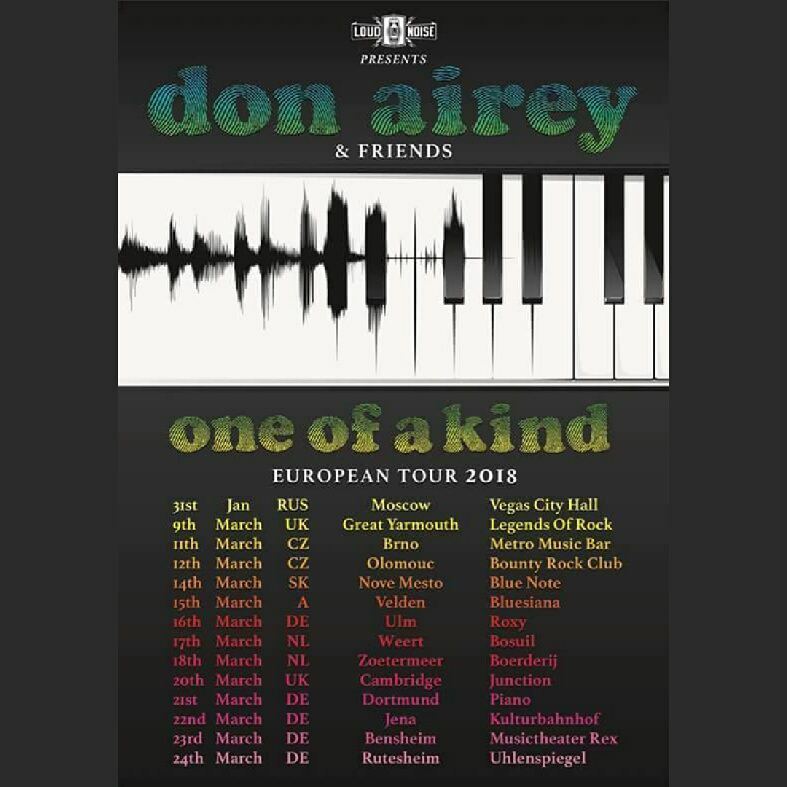 Don Airey will make a special appearance at the Tony Carey’s Rainbow Project gig in Russia on January 31 with Doogie White singing. 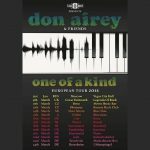 He will then embark on another tour in March, performing a string of European dates apparently in support of his new solo album. Steve Morse will take part in the original Dixie Dregs lineup reunion. Their extensive tour of the States starts on February 28 in Tampa, Florida, and finishes at the end of April with an encore gig at the band’s home town of Atlanta. If you are thinking of going, hurry up – most dates are very close to be sold out. Ritchie Blackmore will do another string of Rainbow shows in April — two in Russia, plus one in Finland, Germany and Czech Republic each. Whitesnake has just announced another massive tour of the States. 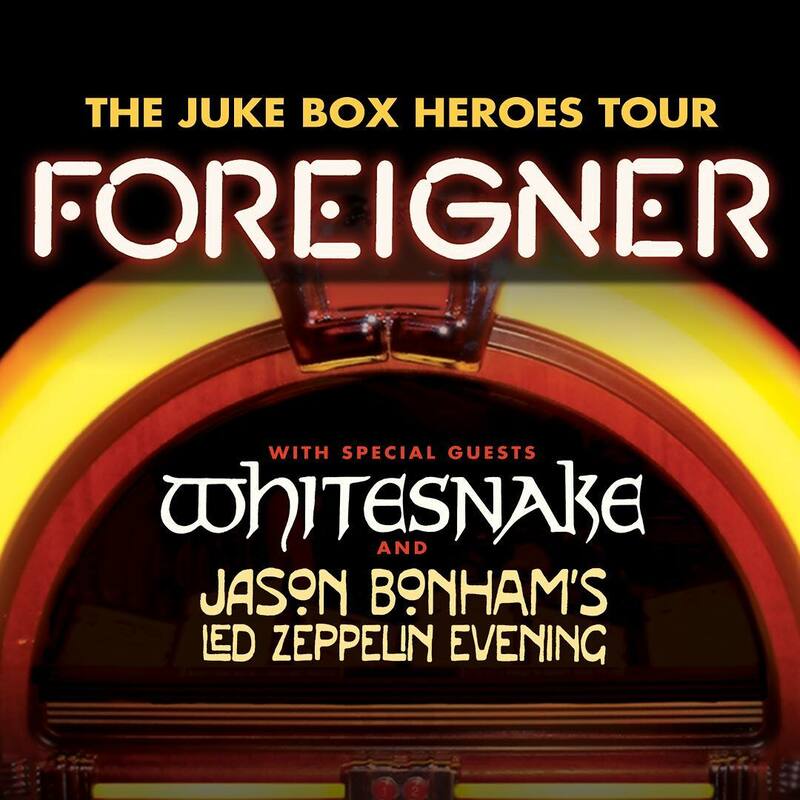 This will be a packaged affair with Foreigner headlining and David & Co taking middle slot. Jason Bonham’s Led Zeppelin Experience will open on all dates. Tickets are already on sale. Which brings us to the main event. Deep Purple will resume their Long Goodbye Tour in May. There is one very much unconfirmed Mexican festival date on May 4, with more reliable dates in Eastern Europe following at the end of May – early June. Another string of dates is being booked for July, this time mostly outdoor venues and festivals across Western and Northern Europe. New dates continue surfacing on a regular basis. Thank you to everybody who contributed to The Highways Star throughout the past year. You make this site tick. Posted by Nick Soveiko on Tuesday, December 26th, 2017, filed under News. You can follow comment on this post through the RSS 2.0 feed. You can skip to the end and leave a comment. Pinging is currently not allowed. Nick, you’re most welcome! Happy new year, mate! Wow Whitesnake is demoted from the main stage act. That’s a big blow for the egos of the current band members and DC of course. Cheers, Nick, all the best to you in 2018! 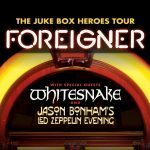 @2 Adel, it’s a Foreigner “Jukebox Heroes tour”… Whitesnake were invited along to tour (& they accepted) with them as guests… as was Jason Bonham’s mob… No demotion for Whitesnake at all. Mate, would it hurt to show a little positivity every once in a while?… Be happy!. Cheers to you too. Thanks for all the hard work in keeping an excellent and informative site going. There is nothing positive or negative in what I wrote the fact is when a big band starts accepting appearances as a gust then you know that they are not big anymore. I have always said that DC shoot himself in the foot when he did the purple album under the name of Whitesnake. He dug himself a big hole and it’s difficult to get out of it commercialy as the fans are a bit confused of who is Whitesnake especially after their last tour And frankly I don’t see a new album from Whitesnake would rectify their current status. BTW on the air of positivity side I believe that very soon Whitesnake will accept to be a gust band on DP long goodbye tour. 45 minutes on stage!!! What about JLT, Satch and Nick Simper? @2, Whitesnake and DC obviously made a financial decision to take the gig. Suprised they didn’t get co-headliner billing but the money must be good. They’re not doing it for free. I saw Joan Jett with Boston this year take the same role and blew them of the stage. I saw Foreigner on their last tour. Total rubbish. No members of Foreigner were on stage until the encore until they rolled out Mich Jones, who is obviously not very healthy. It was a tribute band most of the night, though there were a couple of long time members. None had anything to do with the records or hit songs. I don’t know how they get away with headlining. I will go to this show to see the Led ZEP and WS show. If they Foreigner has no original member on stage by third song I’m out of there. You hit the nail on the head. Yes they are doing it for the money. The purple album by Whitesnake is nothing short of true embarcmemt. Instead of recording a new album full of new material and working hard to produce it DC decided to take a short cut and make some easy money on the back of an album that only one fifth of its material can be accredited to him. His two years of touring on the back of the purple album has defiantly sunk Whitssanke in the deep purple land of confusion. @ 11 Adel…. Rock as a whole is on the way down now… Rock is being heavily outsold by rap & r ‘n’ b… Rock acts have to support one another… It’s the $$$ Can’t survive in the market without the money. Sad, but true. I reckon DC is smart enough to take all the opportunities when they come knocking… Just ride that snake through to retirement… Great move!. @14 Ron, so… there were no original members that were native to Foreigner left in the band?… I guess the band was staffed with… Foreigners!. Boom tish! I thank you, I thank you… & now, for my next trick… Canned Heat!. But Joan Jett blowing Boston off stage? !